New York-based design firm Roman and Williams created a bright and airy space in Cindy’s restaurant which beautifully contrasts the masculine feel of the rest of the Chicago Athletic Association Hotel. 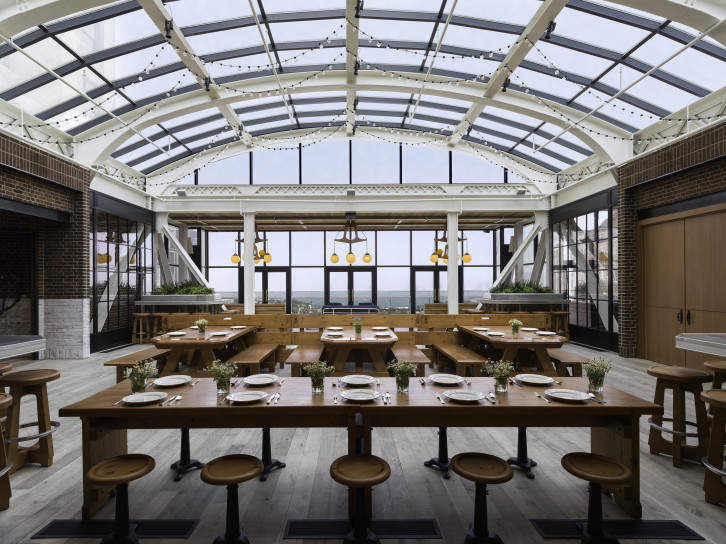 Cindy’s is a glass jewel on top of the historic building, complete with an open-air terrace and panoramic views of the Chicago skyline, Millennium Park and Lake Michigan. Recently nominated for a 2016 James Beard Award for Best Restaurant Design, the inspiration for the space comes from a traditional Great Lakes beach house. Cindy’s is flooded with natural light and fresh herbs, some of which even make their way into the expertly crafted cocktails. The pièce de résistance of the restaurant’s decor is the original Andy Warhol that adorns the wall over the fireplace in the private dining room; titled “Mrs. Pritzker” 1982, it is portrait of hotelier John Pritzker’s mother, Cindy, for whom the restaurant is named. As a nod to the relaxed but chic beach house ambiance, diners are seated around beautifully crafted wood picnic tables and food is designed for sharing. You will find well-executed family style courses, served on platters, with portions for 3 to 4 guests. Cindy’s offers a welcomed contrast to the small plates and multicourse menus you find at a lot of other Chicago establishments. Executive Chef Christian Ragano draws his inspiration from the seasons and the sea. You can expect twists on classic American comfort food; we recommend the burrata, which is served with seasonal accoutrements, and the shellfish platter, which includes oysters on the half shell with a white balsamic mignonette. Whether dining or not, make sure to enjoy a cocktail on the terrace. 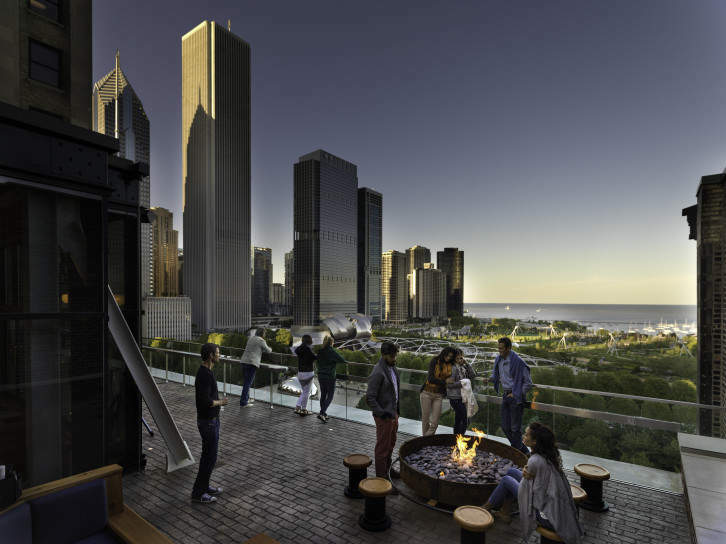 The inviting space features two fire pits, blankets for chilly Chicago days, and incredible views. The cocktails, available by the glass or served in large gold accented glass apothecary jars (good for groups, about 20 drinks), should not to be missed. 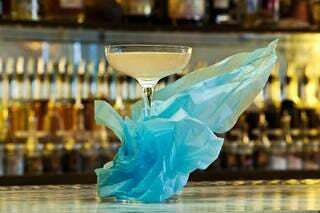 Drinks are crafted by Cindy’s “Spirit Guide,” Nandini Khaund, with unexpected ingredients and spirits sourced from small businesses, such as local distilleries, as well as unique and mostly female producers from around the world. The Grey Garden, a refreshing vodka based cocktail with jasmine pearl tea and hints of lavender, and We’ll Always Have Paris, a smooth gin and aperitif wine cocktail with fresh strawberry and lemon, are staples on the ever changing menu. It’s no surprise that this is one of Chicago’s most popular rooftop spots. 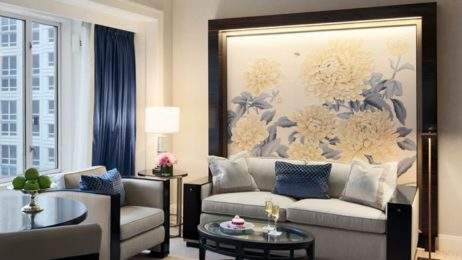 If you are not a guest of the hotel, we recommend calling ahead or making a reservation so you do not have to wait to enjoy the sweeping views.